Some want more diversity in science, some want to humanize the research enterprise, some are alarmed by President Trump — and others want to advocate for the value of research and evidence-based decisions. John Macklin was never the marching sort. Now, at the age of 77, the emeritus professor plans to take to the streets for the first time Saturday as part of Seattle’s March for Science — one of more than 400 such Earth Day events in U.S. cities and around the world. 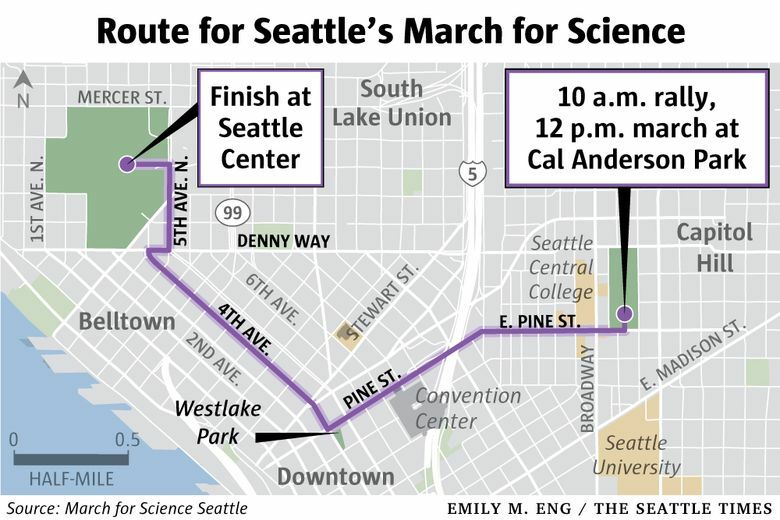 Seattle’s March for Science will begin with a rally and speeches at 10 a.m. Saturday at Cal Anderson Park on Capitol Hill. The march will start moving around noon and end about an hour later at the International Fountain at Seattle Center. Speakers include Mayor Ed Murray, EPA official Michael Cox and U.S. Rep. Suzan DelBene. Inspired by the Women’s March in January, the idea of a science march on Washington, D.C., grew out of concerns about the Trump administration’s “seeming disdain for, and attacks on, science,” Macklin said. What started as a conversation between scientists on Reddit rapidly ballooned. This week, the main Facebook page had more than half a million “likes.” Several of the world’s largest scientific organizations, including the American Association for the Advancement of Science, are supporting the rallies. Seattle’s march has attracted a social-media following second only to the main event in Washington, D.C. Another dozen marches are planned around the state, from Kennewick to Coupeville. Since its conception, the march’s mission has expanded and broadened beyond simple opposition to the new administration’s policies. Organizers describe the Seattle event as nonpartisan — though they acknowledge it has political aims. Motivations for marching — or for sitting it out — are almost as varied as the fields of science that will be represented. Some participants simply want to put a human face on the scientific endeavor. Others plan to emphasize the tangible benefits of scientific research. Many see the march as an opportunity to showcase diversity and encourage kids of all backgrounds to consider careers in science, technology and engineering. But it’s hard to deny a strong anti-Trump impetus. And that’s enough to keep some scientists away. Ed Lazowska, the Bill & Melinda Gates Chair in computer science and engineering at the UW, is a self-described progressive. He has testified to Congress, volunteered for expert panels and served on scientific policy and advisory groups, but he won’t be marching. Other scientists argue that the march could alienate members of the public who already view scientists as elites supported by tax dollars. The idea of being branded “elite” is hard for Tracie Delgado to fathom. She grew up in East Los Angeles, where half her high-school classmates dropped out. In college, she struggled to catch up. Delgado, 32, is now a biology professor at Northwest University, a small Christian college in Kirkland. She’s passionate about her research on viruses and cancer — and the importance of serving as a role model. Emily Law, a pediatric psychologist at Seattle Children’s hospital, plans to march with her husband and 4-year-old son in support of funding for biomedical research. Law has a grant from the National Institutes of Health to improve treatment for children who suffer from migraine headaches. The Trump administration has proposed a nearly 20 percent cut in the NIH budget, along with even deeper cuts for the Environmental Protection Agency, the Department of Energy and the National Oceanic and Atmospheric Administration — all of which sponsor scientific research. No issue has galvanized scientists more than the Trump administration’s dismantling of policies to reduce greenhouse-gas emissions and the president’s own statements that climate change is a hoax. “Climate is the big driver hanging over a lot of this,” said UW fisheries biologist Tim Essington, who studies the effects of changing ocean conditions on sardines, anchovies and other small fish that are a mainstay of the marine food web. He says he’ll probably march, largely to help show that science is a very human enterprise. 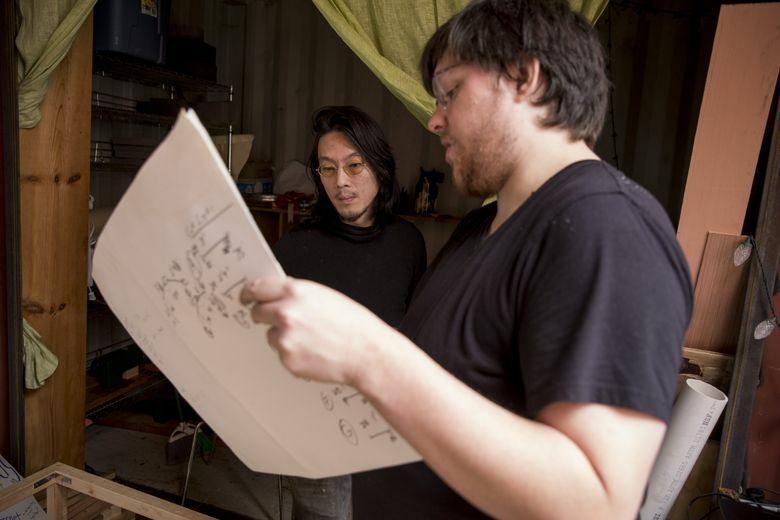 But Essington said if he feels the vibe turning virulently political, he plans to duck out. While the upcoming marches may be unprecedented in their scale, this isn’t the first time that scientists have become activists. Phil Bereano, a professor emeritus at the University of Washington and a longtime liberal voice in Seattle, was among the organizers of the radical group Science for the People, which grew out of the anti-war movement of the late 1960s. Members disrupted scientific meetings and agitated for universities to stop military research. They helped Black Panthers in Chicago hack into the electrical grid to provide free power to medical clinics. The group challenged the notion that science is politically neutral. “Science is an inquiry into areas that are determined by social, political and economic forces in a society,” Bereano said. 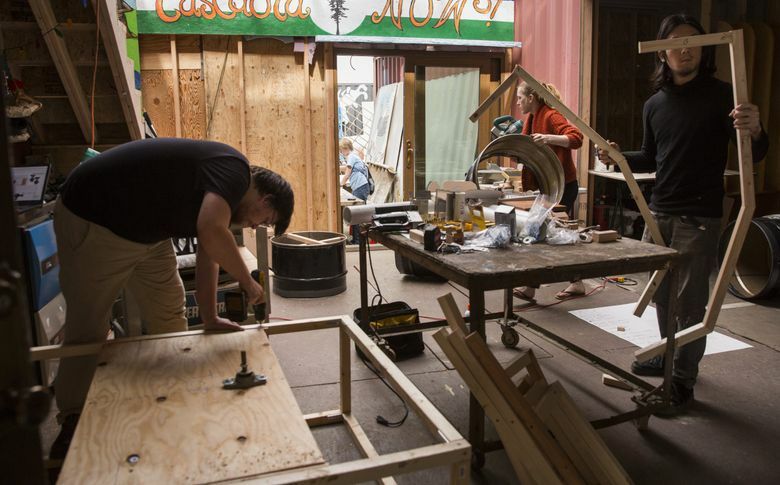 As a result, health issues of marginalized communities have often been ignored and projects that garner grant dollars are prioritized over those that would do more public good, he said. Organizers of the upcoming marches say they hope the energy and momentum in support of science continues, though no one is sure what will come next and how — or whether — it will lead to change. 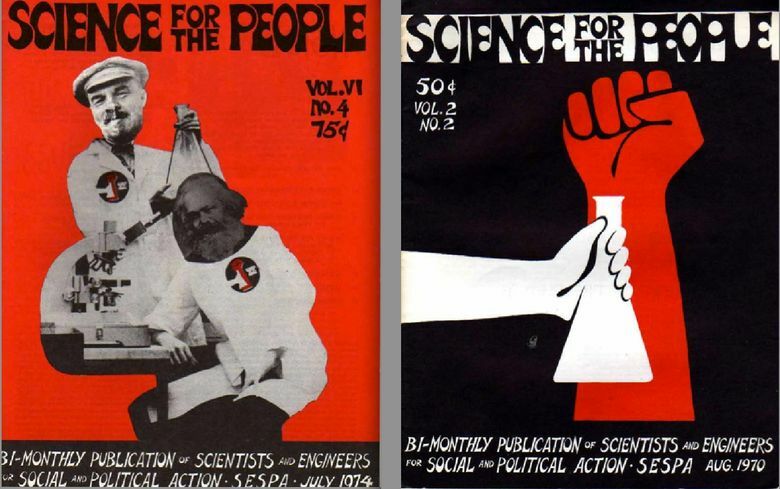 Meanwhile, Science for the People is considering a comeback. An article posted on the organization’s website calls Saturday’s marches “an exciting first step.” But the group is pushing for much more radical engagement.